Ayun Halliday is a noted writer, performer and director. Her wildly funny and insightful books include No Touch Monkey! And Other Travel Lessons Learned Too Late, The Big Rumpus and Always Lots of Heinies at the Zoo. A graduate of Northwestern University, Halliday became a member of The Neo-Futurists nearly three decades ago before moving to New York with her husband Greg Kotis. Theater of the Apes, known for producing Kotis and Mark Hollman’s Urinetown: The Musical at the New York International Fringe Festival in 1999 before its Tony Award-winning Broadway run, will produce her play Zamboni Godot and Kotis’ Lunchtime in repertory at The Brick Theater in Williamsburg March 2nd through 18th. Halliday also directs Zamboni Godot and stars in Lunchtime opposite Milo Kotis, her teenage son. Halliday spoke with Works by Women about her new play, being a parent and artist, working with The Neo-Futurists and her ideal vacation. WORKS BY WOMEN: Tell me about Zamboni Godot. AYUN HALLIDAY: It’s an odd, original play for two middle-aged women and a chorus, “a raucous meditation on the hell of longterm relationships” – inspired in large part by Waiting for Godot. I’ve been thinking about that work since I saw my first production of it in the International Theatre Festival of Chicago, nearly 30 years ago. I was really chagrined to learn how vigorously Samuel Beckett, and by extension, his estate, opposed casting female actors in his two best known roles. (By way of explanation, he noted that “women don’t have prostates”, which rankles, as it was probably meant to. I wanted to write a play in which two female everymen – everypersons – pathologically tethered together, banter and wait and become profound in a variety of familiar settings where waiting is the norm. WBW: This play is a mid-life meditation on existence. How has your perspective as an artist changed over the years? AH: My perspective was forcibly broadened by becoming a mother. Walking around with a baby gives you some visibly common ground with other adults whose background and experience are different than your own. At least, that’s how it was in the East Village in 1997. I enjoyed a deeper level of engagement when my children went to our neighborhood public elementary school. Even now, that school continues to serve a very diverse student body, which means a very diverse parent body. I couldn’t get it together to do any theater work when the kids – now 19 and 16 – were younger, but I hung out in the playground, and did a lot of writing. I took heart from artists like Grace Paley and Sally Mann. It was helpful to the ol’ self respect that my books got published. It helped me to feel less “benched”. I think this probably speaks volumes to my personality. I recently read Sarah Ruhl‘s 100 Essays I Didn’t Have Time to Write aloud to Greg [Kotis] on a long car trip, our teenaged daughter listening avidly from the back seat. I loved everything she had to say in that book, but I marveled that she had been able to pursue and sustain a career in live theater as the mother of very little children. Some people just have these things figured out. The prospect of hiring someone to care for my children on an ongoing basis, the pressure of justifying that expense – it caused me to shrink up like a spider on a hot skillet. Or maybe I was just lazy. But not so lazy I couldn’t put my zine, The East Village Inky, out every three months, like I was the editor of TDR…or something. WBW: Zamboni Godot runs in rep with Lunchtime. You wrote the former play (and direct it) and perform in the latter along with your son Milo Kotis, directed by your husband Greg Kotis. Tell me about creatively collaborating with your family. What is this experience like? How do you juggle everything? AH: Thus far, it’s a hell of a lot better than the last time we were all onstage together. That was also in one of Greg’s plays, The Truth About Santa – in which he played my cuckolded husband, whose children – played by our actual real life biological children – turn out to have been fathered by Santa. Milo was a first grader and while he knew all his lines, he didn’t know his cues, so I had to squeeze his hand every time it was his turn to speak. The guy who’d been cast as Santa was a wonderful actor, but he seemed to have little experience with children, and he did nothing to hide his irritation with our son. Midway through the rehearsal process, he cornered us at a party to suggest that we replace Milo with a professional child actor. I was like do you not get that Greg wrote this play so that all of us could be in it, and that if Milo’s not in it, his mother can’t be in it, because someone will have to stay home with him (see above), and furthermore, how would you feel if your parents fired you!? I basically went Mother Puma on Santa’s ayuss – not my usual MO, but I was pissed. I’m usually very Midwestern, very polite and pleasant, doing good hostess backbends in an effort to accommodate everyone’s needs ahead of mine. Not this time, pal. He fled the party, and the next day he emailed us his resignation, along with an apology. Bill Coelius, the friend who’d been cast to play my fictional husband took this opportunity to announce that he’d rather play Santa, which is how my actual husband, playwright Greg Kotis, came to play my husband, and appear in his own play. It’s a helluva lot easier now that Milo is 16, and understands what’s expected of him. If he behaves out of turn, I (mostly) don’t feel like it’s my responsibility to correct him. It falls to his director/father to handle those sorts of transgressions. He’s very funny. He has this over-the-top monologue at the end, an unrepentant cornered outlaw aria of sorts. Our fellow cast members, all very funny, talented, accomplished adult actors, were cracking up in rehearsal. The ol’ maternal bosom was definitely swollen with pride. WBW: What attracted you to the arts? How do your skill sets–writing, performing, directing–inform each other? AH: A lack of athleticism, an insatiable appetite for story, and an only child’s desire for a large family. My ten years with The Neo-Futurists were definitely formative, in that our main show, the recently deep-sixed Too Much Light Makes the Baby Go Blind, required us to generate a steady stream of original material, which we would write, propose, rehearse, direct and perform in each week. I’d majored in theater at Northwestern and considered myself an actor, so the performing came easily. The writing came easily too – especially since I didn’t have to sustain anything for longer than two or three minutes. Directing was less of a natural fit – I’m not much of an enforcer – but you sort of figured out who your friends were in the company and wrote for them, or you’d give the big part to someone who you could count on to actually memorize it, or the funny part to Phil Ridarelli. The thing that’s been most helpful, directing-wise, has been working with teenaged homeschoolers. My friend, Ben Watts, and I co-directed a production of the Kotis-Hollmann musical, Yeast Nation, which Greg refers to as the world’s first Bio-Historical musical. He claims it’s the prequel to both Urinetown and everything on earth. (It takes place at the beginning of time on the bottom of the sea – the characters are all single-celled organisms.) It was a practical move to pick that play – not only did the playwrights waive the royalties, I didn’t have to deal with fan-kids who already had a lot of pre-concieved notions arising from obsessive soundtrack listening. It was really fun. We staged it in the round, in the large waiting room of the studio where Ben and his wife, Tiina, had a watsu (water massage) business. At one point we were thinking about having Jan the Elder, the king of the yeasts, emerge from the tank. For our next outing, I brought in a skeletal adaptation of Hans Christian Andersen’s The Little Mermaid, and a wishlist of monologues and songs I wanted the teens to write, for me to plug in as needed. I knew I wanted a song of unrequited love, and I was hoping that a boy who’s had a number of operations to correct a foot-related birth defect would draw on personal experience for the section where every step the Little Mermaid takes feels as if she’s walking on knives. He came through, bringing a dimension of seriousness that played well against some of the goofier elements I introduced – toy theater, object work, semaphore … our most spectacular scenic effect relied on a chemical effect involving laundry detergent and vinegar. They thought I invented it all, which was wonderful. Get ’em young, before they’re jaded and educated by someone else! Those kids were awesome. They took faith that I knew what I was doing, and that gave me a great deal of confidence. I modeled my directorial approach on that of my college acting teacher, Bud Beyer, who used to jump onstage with us any time a scene was foundering or needed attention. It felt completely natural to be prancing around with these 13, 14, and 15-year-olds, whispering in their ears, demonstrating how to puppeteer a scrap of fabric to suggest fish, goading them to heighten their physicality. Now I get to do that with adults in Zamboni Godot. Some of the Zamboners, as the chorus is collectively referred to, have never acted before, outside the odd appearance as an angel or an elf in an elementary school play. That was by design – they’re onstage for most of the play, but in a supporting capacity. There are a couple of pros among their number, who knew what the deal was going into it, but I was leery of inviting anyone who might grow dissatisfied with the nature of their role. It’s worked out. We are all benefiting from the enthusiasm of the newbies. Their excitement at trying something new, and satisfaction from taking the risk to venture outside their comfort zones, is creating a very pleasant rehearsal culture. And rumor has it they all like margaritas – I look forward to joining them in the bar across the street after the show (something we couldn’t do with the cast of Fawnbook, half of whom were teenage boys – also by design.). I know that there’s a well established school that frowns on playwrights directing their own work, but I no longer subscribe to it. I’ve learned that tone is very important to me. I feel personally responsible for helping the actors achieve it. People talk about whether or not scripts are actor-proof. Well, mine aren’t interpretation-proof. And it gives me pleasure to be so involved in the creative muck of the original production, after which, I welcome anyone who wants to to take a crack at it. Preferably someone with a press rep and a janitorial staff. WBW: Often artists are labeled dreamers. What do you dream for the world in general and the arts in particular? AH: Like many, I dream that Donald Trump will be taken down, and Mike Pence along with him, that we will wake up and realize Hillary Clinton is the President after all. Failing that, I dream that we will somehow rescue the NEA, and that it will be open to all. I would love for our country to support its art and artists using a non-American model. When The Neo-Futurists performed at a theater festival in Romania shortly after the fall of Nicolae Ceausescu, every performance was packed because the tickets were free; the work was subsidized. I dream that once exposed, people will seek out theater if it doesn’t take a huge bite out of their pocketbooks. I dream of a future in which there is a great diversity of voices robustly represented, and everyone is allowed to stretch his or her wings, allowed to write about whatever compels them, to explore their own backgrounds and others without getting piled on by people who haven’t even seen their fckn plays. I dream of kindness and good humor and the desire to see things outside the mainstream. WBW: I’ve recommended your book No Touch Monkey to dozens of people. That wild travelogue is a hilarious read. Do you have any travel plans in the future? Any more adventures to write? Or advice for Milo to travel around the world? AH: Thank you! There’s a theater a couple of hours outside of Mexico City that did Urinetown a while back and Greg is going there to work on it some more with them later this spring. He’s invited Milo and I to hitch along. Who knows? There are many places I’d like to travel – by myself, or with a like-minded friend, or Greg. What I’m not interested in is dragging along a teen who doesn’t want to go. Of course, even the most stressful travel experiences can yield good material and fond memories, but these days, simplicity (or possibly selfishness) holds a lot of appeal. I’d like to spend however long I feel like spending in a museum, answerable to no one but myself. (Um…maybe I should leave Greg at home.). I’d like to read a book in a cafe. I’d like to drink tea in a plastic chair on the porch of a family-run, un-airconditioned Southeast Asian guesthouse, gazing out at a rice paddy, listening to the frogs. That’s my vision of a Calgon escape. I was just reading about Anthony Bourdain. I don’t watch his show, but what a career! If nothing else, that article made me hungry for Vietnamese food. AH: Don’t threaten anything you’re not prepared to carry out. For information on Zamboni Godot and Lunchtime, visit Theater of the Apes’ website. 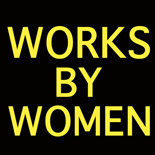 This entry was posted on February 16, 2017 by worksbywomen in Interview, Theater, Women and tagged anthony bourdain, ayun halliday, ben watts, bud beyer, east village inky, grace paley, greg kotis, international theatre festival of chicago, lunchtime, mark hollman, milo kotis, NEA, neo-futurists, no touch monkey, phil ridarelli, sally mann, Sarah Ruhl, the brick theater, the little mermaid, theater of the apes, urinetown, yeast nation, zamboni godot.